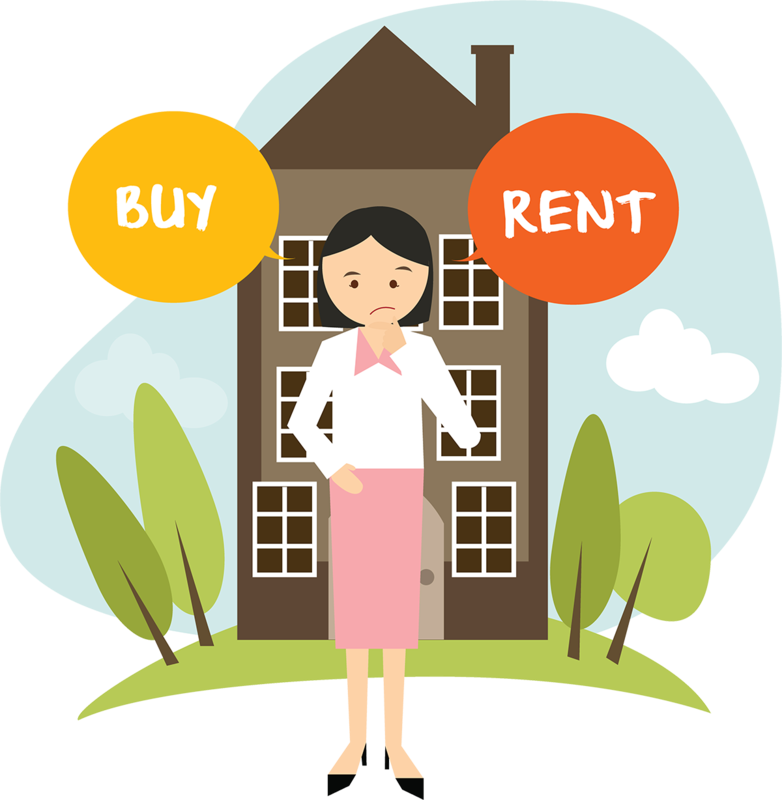 Renting vs Buying Calculator: Should You Rent or Buy a House? We offer two calculators which enable people to quickly decide if it is likely to make more sense to rent or purchase a home. A brief description of each calculator is shown below, while a detailed description of each is within the associated tab for that calculator. A table listing current mortgage rates is beneath the calculators. Basic: Use this tool to see how much home you can afford to buy while paying a monthly payment equivalent to your current rental payment. Advanced: This tool has many more features which enable people to compare the longer term impact of inflation, real estate appreciation & real estate transaction costs when determining which option better suits their needs. This calculator estimates the loan size you could pay for given your current monthly rental payment. It automatically subtracts the cost of property taxes & homeowners insurance from your rent amount to come up with the equivalent loan size. For example, if your rent is $1,500 per month and property taxes and insurance would each cost $100 per month this calculator will figure out what size loan would have the equivalent $1,300 monthly principal & interest payment. Please note that for conventional mortgages where the buyer puts less than 20% down they will likely be required to pay for PMI in addition to their regular monthly home payment. will estimate the size of a mortgage you could afford based on the size of your monthly rent payment, the downpayment you could afford, and on the anticipated property taxes and homeowners insurance.